1. Whisk together; oil, vinegar, mango juice and pepper. 2. 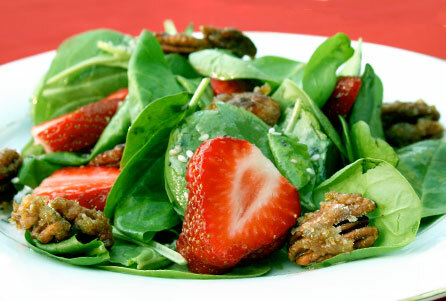 Combine spinach, pecan, onions, and strawberries, toss with vinaigrette.